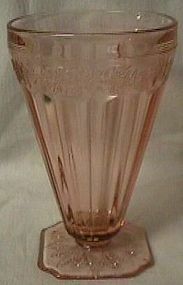 Jeannette Glass Company made Adam from 1932-34. This 5.5" tumbler is in great shape. Thanks for looking. 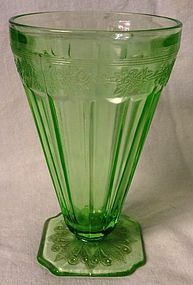 Jeannette Glass Company made Adam from 1932-34. There are no chips or cracks in the glass. Thanks for looking. 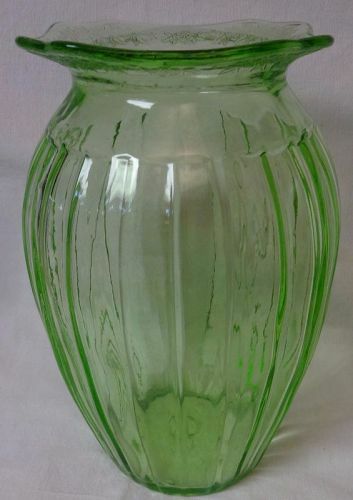 Jeannette Glass Co. made Adam from 1932-34. These 5.5" ice tea tumblers are in great shape. Thanks for looking. Akro Agate Glass Co. made Interior Panel. This is from a childs dish set. 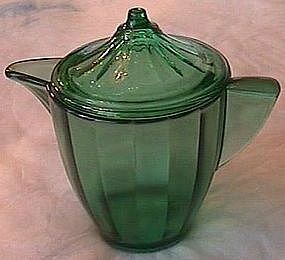 This transparent green teapot and lid is in great shape. Thanks for looking. 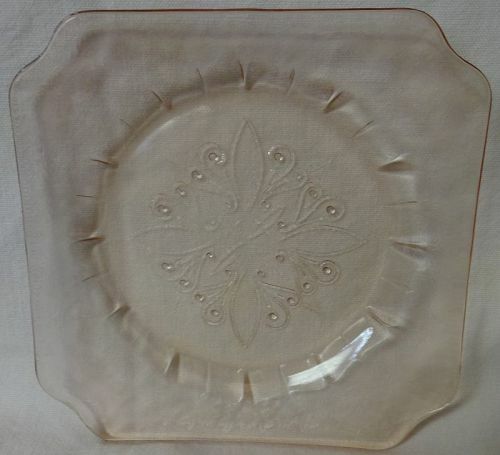 Akro Agate made Stacked Disc & Interior Panel in the 1940's. This is the 1 3/8" small sugar. It's in great shape. Thanks for looking. Akro Agate made Stacked Disc in the 1940's. These are the 1 5/16" small cups. They are in great shape. Thanks for looking. Akro Agate made Stacked Disc in the 1940's. These plates are 3.25". They are in great shape. Thanks for looking. Aladdin Mantle Lamp Company made this 14" lamp in 1942. It's in great shape. Thanks for looking. Aladdin made these red lady & the dog lamps in the 1950's. These are in great shape. Thanks for looking. 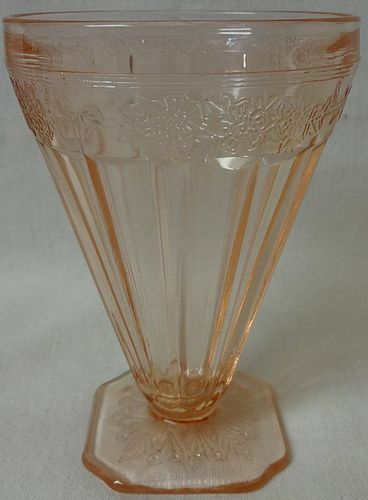 Aladdin Mantle Lamp Company made this 20.25" lamp in 1942. It has an illuminated base. It's in great shape. Thanks for looking.